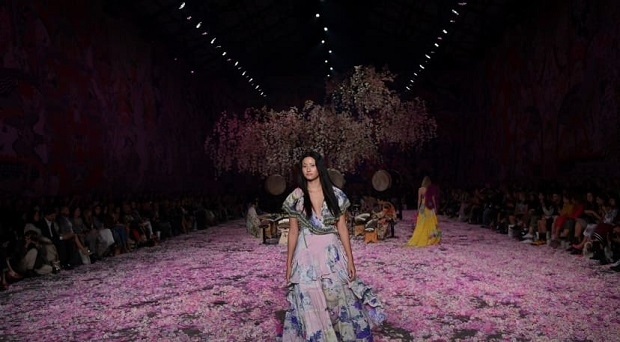 Mercedes-Benz Fashion Week Australia has continued to cast limelight for 23 years on the established and upcoming Australian fashion designers. On May 2019, the extravaganza is going to expose more designers to the press, buyers, and consumers from all parts of the world. As fashion enthusiasts prepare to welcome groups of fashionable individuals expected to flock to the Carriage works of Sydney for the MBDFWA 2019 showcase, you should brush up on everything you have to know as details start coming to the limelight. Where and when will the Mercedes Benz Fashion Week take place? The 24th edition of Mercedes Benz Fashion Week Australia (MBFWA) will start on Sunday, May 12, 2019, and we expect it to run for five consecutive days until Friday, May 2017. This year, the showcase will also take place in the Sydney’s Carriageworks like in the previous years, in collaboration with the Government of New South Wales. MBFWA has remained the first fashion week on the globe that has focused solely on displaying resort collections. Therefore, on May 12, you should expect it to present the year 2020-resort collections from a large number of the esteemed labels and designers. Even though the year 2019 MBFWA official schedule has detailed the designers who will display their resort collections, the list is not out. Expectedly, it will feature the established and the emerging local labels. The MBFWA has invited fashion enthusiasts from all parts of the world to watch the runway shows and indulge in various experiences, such as the Style Session Series conducted by various experts of the fashion industry. If you are one of the local fashion designers in Australia and you would want to display some of your work at the MBFWA, you have to ensure that you match the provided criteria and express your interests through the offered online application form. Sydney designers work with what they already have and what they know. Most of the models you will find in town on the MBFWA week are either local or from other countries. Political commentaries are uncommon in the extravaganza and the fact that MBFWA provides a beautiful landscape for the local designers to display their ideas puts it in its unique class. And for many years, the fashion industry has been on the limelight for not featuring models with diverse body shapes on the runways. But on the swimwear show of Mercedez Benz Week Australia in 2018, Sydney label Duskii projected a curvaceous size 12 model Bree Warren. Therefore, you should also expect diversity in the year 2019 shows. The number of women who buy plus size tops in Australia has also increased recently.